After one hour of strength training, my whole body was sore. I looked at my hands to notice they were shivering. It seemed like increasing the weights by 5 pounds was not a good idea after all. The question of cardio came to my mind. Without a proper cardio, there was no point to the previous workout. ‘Trying won’t hurt,” My brain whispered to me and I nervously stepped on the treadmill. Even at the meagre speed of 6 km/hr, I felt my shoulders hurt. Recounting Muhammad Ali’s words for motivation worked and I opted to start slow. It took two full minutes for my heart rate to slow down at that speed. Satisfied, I increased the speed to 9 km/hour and started running. No, I am not stopping today. I refuse to slow down. It counts only when it starts hurting. Let it hurt. I can’t be a total chicken for a just little bit of pain. Yeah, this is officially painful. If I give up now, I won’t be able to forgive myself. Okay, it doesn’t hurt. At all! It doesn’t hurt. It was hurting minutes ago. Then why isn’t it hurting? Then came a sudden rush of energy and the thoughts stopped. And I started running so fast that 9 km/hr, a speed of the treadmill was slowing me down. So I increased it to 10. I was flying. I was smiling. And the running at 10 km/hr felt like a casual stroll in a park. Once I was done, the thoughts came back. I am totally going to try that again. After doing a great deal of research, I realised what I felt is called ‘runner’s high’. My first reaction: “Is that even a thing? !” After all, how often do you find people around you who actually exercise? Some cannot grasp my source of motivation for working out and some think I am so insecure about my looks that I am “sacrificing” two precious hours of my life. And there is the third chunk who thinks that I am plain crazy and obsessed. Exercising to be healthy is considered just for celebrities, as that plays a huge part in their profession. But as someone rightly said, obsessed is the word lazy people use to describe the dedicated. These are the same people who think that the only way to enjoy life is by getting addicted to alcohol; cigarettes or drugs. Anyways, I believe that most people who judge others are actually describing themselves. Speaking of addiction, one thing I am severely addicted to is the gym. When I started seeing myself becoming fitter, better looking in the mirror all the while feeling stronger, I found it hard to stop going to a gym. When I see that I am able to lift 10kg with one hand when a few months back, I could not lift 2 kg, I want to push to achieve higher goals. 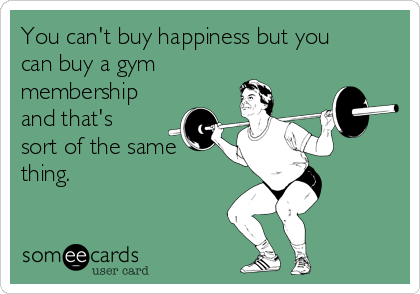 Every gym session makes me very happy. This is because exercise makes the brain release dopamine, or happy chemical, a neurotransmitter in the brain that’s necessary for feelings of pleasure and happiness. I have even started to sleep better. Being on the introvert side, I feel less anxious and more confident if I am regular at the gym. The best part about going to the gym is not having to feel bad because I missed. Also, it is fun to see men completely shocked when they see me, a 20-something woman, lifting 20 kg like no big deal. And yes, the trainers are really hot. But when I don’t go for a few days, I feel very weak and something is missing. I feel stressed. But a gym session never feels complete without at least 10 minutes of running and getting high. Running at the end of my strength training is a summary of all the things I did before, giving every muscle I worked on, the right amount of stress to burn the fat around it. Runner’s high releases endorphins. They are nature’s home-brewed version of morphine, or in layman’s words, painkillers. While the brain is busy generating these happy chemicals; the body creates endocannabinoids, the chemical responsible for the buzz that marijuana produces. It gives a sense of calmness. Endorphins can be created only by specialised neurons, but pretty much any cell in the body is capable of making endocannabinoids, which means they have the potential to make a bigger impact on your brain. But a human body needs 8 hours of sleep at night for optimal endocannabinoid production. A research in Neuroscience Research Center at the Medical College of Wisconsin says that endocannabinoid levels in the human body are three times greater in the morning compared to when you are going to bed. 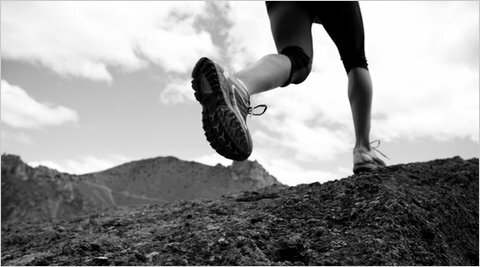 This suggests that you will more likely achieve runner’s high in the morning.